Rapid detox is advertised as a painless method of detox that allows an individual who is hooked on opiates to withdrawal effortlessly. According to the National Institute on Drug Abuse, around 2.1 million Americans were addicted to prescription opioid pain relievers in 2012, and another 467,000 were dependent on heroin. Some treatment centers are pushing the idea that rapid detox is the way of the future when it comes to treatment of heroin and prescription opioid painkiller addictions, but this simply is not true. While traditional opiate detox options require lengthier treatment protocols, rapid detox promises a full detox experience within a matter of hours. 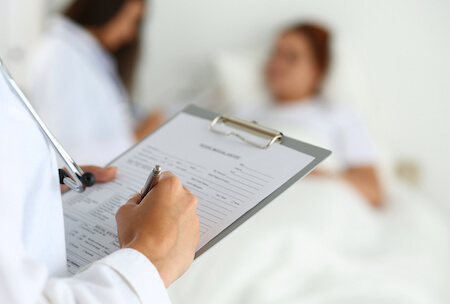 The rapid detox process was established in the early 1990s and entails sedating patients with general anesthesia while an opiate blocker — such as naltrexone — is administered to force the body to begin detoxing. Upon waking, patients are told they are fully detoxed, but their bodies are still processing through withdrawal. Thus, many individuals will go home following this treatment experiencing things like nausea, strong cravings, and pain. Others may suffer far more severe consequences from the rapid detox experience, and some have even died from the procedure. In addition to the health risks involved, rapid detox is not a complete treatment package. The end goal of any quality substance abuse rehab program is to prepare individuals for lives in recovery. The end goal of rapid detox is to get patients detoxed. These people are not prepared to tackle life without substance abuse. 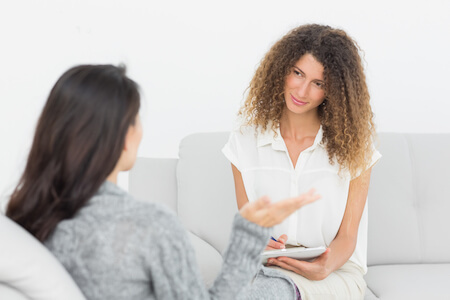 Comprehensive treatment involves therapy to identify and address the reasons that led to substance abuse in the first place. The National Alliance of Advocates for Buprenorphine Treatment reiterates that detox alone does nothing for the psychological process of addiction, which requires intensive therapy and support during and/or after withdrawal. Despite claims that rapid detox treatment centers make, the procedure is not known to be as effective as traditional detox methods. The American Medical Association notes the results of a comparison study in which clients treated with rapid detox showed no better resistance against relapse, a higher rate of adverse events, and reported a greater occurrence of discomfort following detox than individuals who received traditional treatment with buprenorphine and those who were treated with clonidine and non-opioid medications. In the rapid detox group, 20 percent stayed in treatment while 24 percent of those in the buprenorphine group did. Efficacy isn’t the only problem; safety is a big issue, too. There have been no peer-reviewed studies that support the safety of rapid detox treatment methods. The Cochrane Database of Systematic Reviews published a warning against the use of rapid detox methods in 2006 based on the results of six different studies that showed a high risk of adverse events and a strong potential for life-threatening side effects. Both mental illness and substance abuse present strong needs for medical detox methods that remove the risks involved with rapid detox and allow individuals to withdraw from opioid drugs at a slower pace while still keeping them fairly comfortable. When rapid detox is chosen as a method of treatment, individuals who are affected by mental illness don’t get the necessary tandem treatment that comes with traditional forms of detox and rehab. Some may think this is a moot point prior to treatment, but many are initially unaware that they are suffering from mental health issues. Throughout the rehabilitation process, underlying issues, like mental health conditions, can be diagnosed and effectively treated. Of course, the ultimate risk associated with substance abuse and addiction is death. Traditional medical detox, overseen by medical professionals, ensures the safety of patients. With rapid detox, this isn’t the case. In fact, six people died during a seven-year period in which 2,350 clients were treated at a New Jersey rapid detox facility, according to USA Today. Another fatality occurred along with two adverse reactions in clients treated at a New York facility between August and September 2012, per Medpage Today. Medical detox is the most beneficial form of detox that exists in the treatment community today. Its focus is on the whole person and not merely the physical aspects of withdrawal. Participation in support groups, therapy, and skills groups begins at the start of treatment. Likewise, a full course of treatment often includes efforts to rehabilitate spiritual and emotional wounds that may have contributed to the development of an addiction. Most clients who relapse after detox do so soon after completing the process. An Irish Medical Journal notes a 91 percent relapse rate among those who sought detox for opiate addictions, and 59 percent of them relapsed within the first week following detox. This is why it’s essential that medical detox is followed by comprehensive rehabilitation treatment.